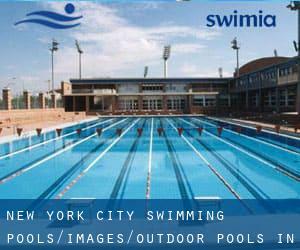 These are the Outdoor Pools in New York City other users have reported. Are you a local and your pool is just not listed? Contact us to ADD IT. It's free! Are you a regular swimmer? Do you visit the identical Swimming Pools? Please check that all of the information for your aquatic center are correct and contact us in case you locate any mistake. Swimia.com requirements your feedback to ensure all of the data is valid, given that maybe this pool is no longer open to the public. Not all countries would be the very same, and swimming regulations and rules are changing from one country to an additional. We currently have the following Outdoor Pools in New York City, but we are always grateful for any corrections or contributions. Get in touch via our contact form. Traveling to New York City? This is the right spot on the internet to find locations to swim in New York City. Each day you might be not swimming you happen to be losing precious time to boost your skills a be a far better swimmer! No alot more excuses!. 975 Anderson Hill Rd. , Rye Brook , NY , USA (Postal Code: 10573). Among all the activities offered by the center, if you are thinking about swimming you will appreciate 20 yards, Indoor/Outdoor. Just in case you need to contact this Swimming Pool before dropping by, we only know the phone number. Hommocks Middle School , Hommocks and Boston Post Roads (U.S. 1 and N.Y. 125) , Larchmont , NY , USA (Postal Code: 10538). Among all the activities supplied by the center, should you be interested in swimming you may take pleasure in 25 yards, 8 lanes, Indoor/Outdoor. If you will need to contact this Swimming Pool, e-mail address and phone number are both number.